Written by: KristaG on May 1, 2016. Mother’s Day is right around the corner, and if you haven’t found the perfect geeky gift yet, don’t panic as there is still some time left. We at the Geek Girl Project have your back and have a few gift ideas listed below that you can either DIY or purchase for your mom, grandmother, spouse, “mom friend” or any of the other ladies in your life with children by next weekend. I love the clean, minimalist look of these vases. Whether painted or left as straight concrete, they look great! This cookbook is right at home in my kitchen. 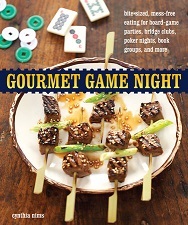 Such a great addition to any game-loving mom’s cookbook collection! Does the mom in your life like to host game night at your house? This cookbook is a wonderful addition to any geeky home (mine included!). Contained within the pages of this delectable cookbook are well over 60 recipes ranging from drinks to skewers to dips to sandwiches and even some desserts! All of them promote mess-free finger foods so there are fewer worries about damaged game components and more time to focus on the games being played. The recipes do range from simple to complex, but make for a very enjoyable evening of entertaining. The book can be purchased online from sites like Amazon.com or barnesandnoble.com if it isn’t already available in your local bookstore. A great way to embrace a mom’s love of all things Steampunk! This fun DIY project is simple, fun, and leaves a lot of room for individuality and creativity! The great thing about making your own lip gloss is that they can be made with any added colors, flavors, or beneficial ingredients you want to include! Worried about an allergy or not sure if mom wants her lips to be tinted? You can also leave them plain. These up-cycled pocket watches are adorable and great for any steampunk loving mom or mom to be! To make them, there are several recipes one can follow for making lip gloss. Polka Dot Bride‘s recipe includes using lipstick, Vaseline, and a microwave. While this is super easy, it doesn’t help those that want something more (or less if you want it to be color free) from their lip gloss. There are numerous recipes available online, but one I happen to like can be found at Idea Queen (I’m a big fan of the Vanilla Lip Gloss, but the others listed are pretty good too). Once you have decided on your recipe and gathered all of the ingredients, all that is left is making the gloss or balm itself and pouring or dolloping the mixture into an empty watch cavity. 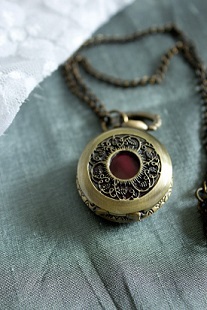 Pocket watches can be purchased from places like Etsy.com, ebay.com, pawn shops, and even some thrift stores. If the watch you find happens to have the clock still inside it, they are surprisingly easy to remove. However, a word of caution when choosing your pocket watch: make sure they are fully enclosed either with a solid cover or with glass or porcelain covering any of the cutouts! Alicia Parsons (Akimbo) provides a great tutorial on how to make these over at Polka Dot Bride. These make wonderfully cute and hands free ways to carry lip gloss and are a great gift! A great 2-4 player game from Meridae Games. This and other “hobby themed” board games make great gifts! 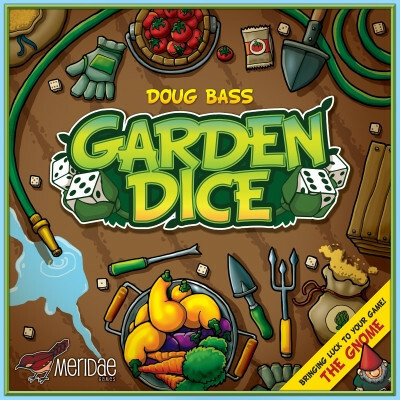 Released in 2012 by Meridae Games, Garden Dice is a 2-4 player dice and card game that combines tile laying and set collection with dice rolling. Players use the dice rolls as coordinates to plant seeds on a 6×6 grid and then work to water and harvest various plant sets. This is a strategy game that is great for kids and adults alike and takes anywhere from 45 minutes to an hour to play through. My readers can expect a full review of this charming boardgame in the following weeks as it is one that we very recently acquired at home. It is a great theme game for moms who love to garden. Other great hobby themed board games for moms include Mayfair Games‘ Patchwork, Z-Man Games‘ Knit Wit, Twilight Carpenter‘s Chocolat, and Dice Hate Me Games‘ Brew Crafters or VivaJava: The Coffee Game. How cool are these?! These stepping stones are great DIY projects that can be done for or with the mom in your life! 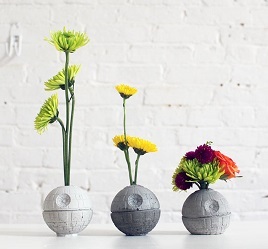 This great DIY project from our NERD home is a wonderful two-part gift. 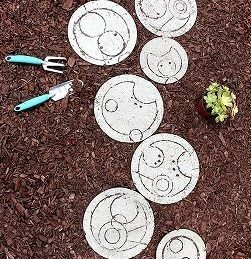 These are great for moms who love gardening or shouting their geeky love to the outside world as well as for fans of BBC’s Doctor Who. To make them, all you need are a few supplies that can be picked up mostly at a local hardware store or even around your house: Quikrete, chicken wire, something to use as a mold, gloves, a mask, cooking spray, various round items for making the Gallifreyan symbols, a pencil, and some patience. For full instructions, check them out here at ournerdhome.com. This collection of Adagio Teas from Think Geek are all heavily caffeinated and themed! Personally, I want to get my hands on a tin of Pirate Chai! 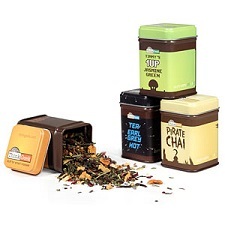 ThinkGeek paired up with Adagio Teas to create exclusive blends of looseleaf teas and the choices are quite appealing: Pirate Chai, Timmy’s 1UP Jasmine Green, Zombie Blood Orange, and Tea Earl Grey Hot. Each tea comes in its own themed tin and can be used to brew approximately 10 cups of tea per tin. These teas are also chock full of caffeine so they are more for waking up than winding down. Perhaps giving mom a much needed energy boost for going to work or playing with the kids? As the tea is looseleaf, you will either need to purchase a tea infuser or looseleaf tea bags. What a great way to start each day! 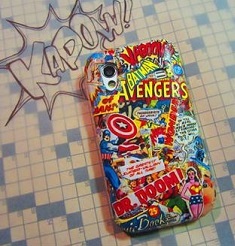 These comic book phone covers leave lots of room for personalization. Not only for comic books, but with actual books as well. Perhaps Harry Potter or Game of Thrones? The possibilities are endless! This phone cover is easier to make than one would think! All you need is a pair of scissors, a comic book (or you can download and print comic book pages so you don’t destroy an actual comic book), some Mod Podge, a paint brush, and, of course, a phone cover to fit mom’s phone. The new phone cover screams with personality and can be made to look however you’d like. Some fun ways to incorporate more individuality are to center your design around a specific scene or specific characters. These can be as bright and random as you want or can be made to go with a color scheme and theme tailored to mom’s interests. The instructions can be found at mmgn.com. These are just a few great geek gift ideas. Have any ideas of your own? I’d love to hear about them! DIY or otherwise! For all of the mothers, grandmothers, and mothers-to-be, Happy Mother’s Day from all of us at The Geek Girl Project!